Seasons, a new expansion released last Friday, spices up the world of Sims 4 by adding seasons, a new gardening career, and also holidays. One of them, Winterfest, is a Christmas-esque holiday that occurs in winter. 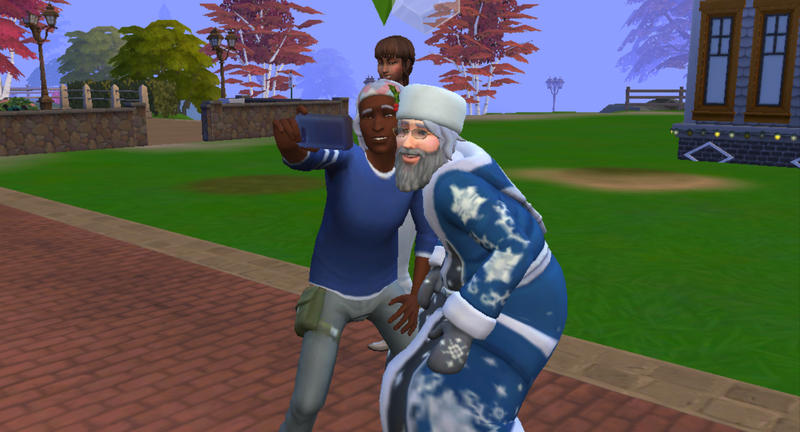 If you have a fireplace in your house, Father Winter, the game’s version of Santa, comes down the chimney to give you presents... and more?